I just returned home from my sixteen day pantsless wonderland. 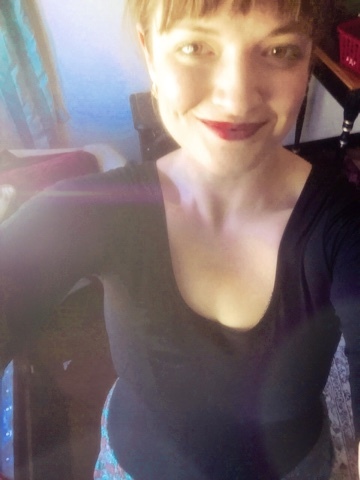 Speaking of pants, I can barely zip mine now because I thought eating all their expired food was an intelligent sport for a thirty-five year old woman. It will take about a month to lose the weight I gained. Like a ballerina who doesn't know when to retire. Oh, there's no "after" photo. Are you kidding? I'm just going to let the sands of time erase this bout of gluttony and its plumpy repercussions. Here's my exercise gear. 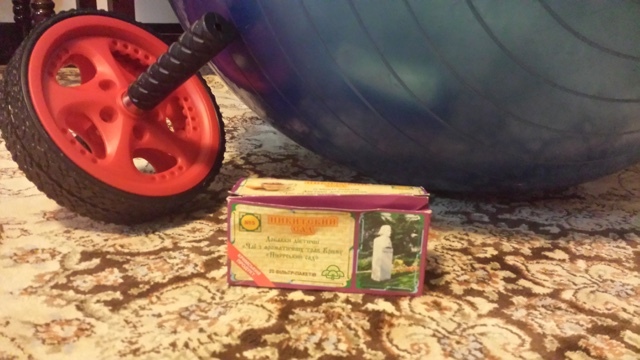 It's an ab roller, a pilates ball, and tea in a language I can't read. The pilates ball is for sitting on while I watch Netflix on my phone. 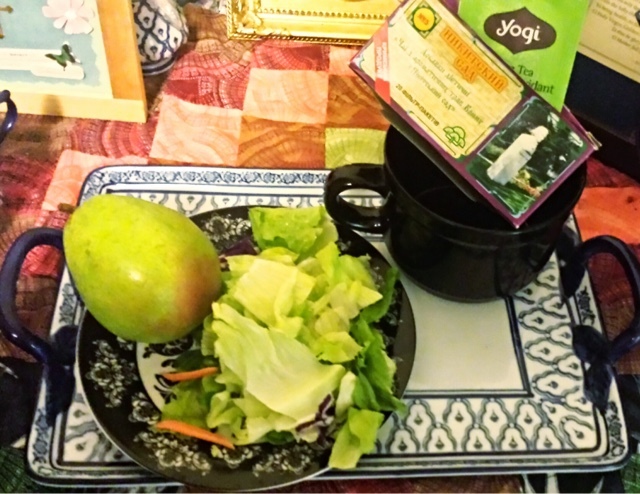 Here's my typical meal: lettuce, an unripe pear, herbal tea, and green tea. The green tea is actually made in a pitcher every morning, and I use it instead of water. I won't keep food at home, so I go to the grocery store almost daily, which is one of the many tasks I busy myself with so that I'm moving and too distracted to eat. For putting pictures of my food on Instagram, I just have this on a daily loop. Where do I get the strength for exert such self-control? How do I have such girthy willpower? I take diet pills, obviously. My doctor put me on topiramate, and I ordered garcinia cambogia on Amazon. If I slip up and eat a half gallon of ice cream, I drink warm mustard water and play Roman Empress. Oh, I'm well aware that none of this is healthy, but I know me, and I know that this will only change when being attractive no longer gives me a career advantage. And yes, eating rancid food was totally worth it.